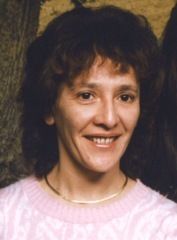 Gladys M. (Camacho) Evans, 67, residing in Clyde, passed away Monday afternoon, July 30, 2018 at Stein Hospice Care Center after a lengthy illness. Gladys was born on November 12, 1950 in Puerto Rico to the late Enrigue Camacho and Julia Maria Lopez. Gladys retired from Rockwell Springs Trout Club as supervisor of housekeeping. She was a member of Sts. Peter & Paul Catholic Church, and the Sandusky Eagles #444. She enjoyed dancing, animals, especially her cats, her flowers and spending time with her family and friends. Gladys is survived by her daughter, Dusty Evans of Castalia; son, Verl (Nancy) Evans Jr. of Bellevue; eight grandchildren, Brian, Joey, Christian, Crickett, Josh, Thomas, Tyler and Dustin; thirteen great-grandchildren; sister, Iris Minerva of Castalia; brother, Luis (Carmen) Camacho of Mexico and numerous nieces, nephews, and other relatives. In addition to her parents, Gladys is preceded in death by her husband, Verl Evans Sr in 1990 and a sister, Fioldalisa in infancy. Friends may call on Friday, August 3, 2018 from 10:00 am until the time of funeral services at 11:00 am at Groff Funeral Homes & Crematory, 1607 E Perkins Ave, Sandusky. Deacon Phil Dinovo will officiate. Burial will follow in Calvary Cemetery, Sandusky. Those wishing to contribute to Gladys' memory may do so to Stein Hospice Services, 1200 Sycamore Line, Sandusky, OH 44870.